New: design for user interface (see options for different themes). New: Savegame editor powered by SVTInfo (TorchTools) from mattdesl. Improved: Delete savegames from the analyser dialog (new button). Improved: Conflict check can detect same object names in DAT files (seperate option). Improved: More progress status messages (downloading, installing, checking conflicts with seperate steps). 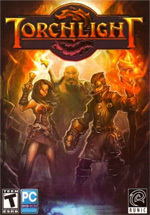 Improved: Support for split of setting files since patch 1.15 for Torchlight. Improved: Use MD5 hashes to identify identical files on conflict check (only for same filenames to skip them). Improved: New button (mod detail panel) to show dependencies before mod installation. Changed: Remove "Add feature..." and "Rate the mod..." from request dialog. Fixed: Conflict check does not find same GUIDs in files related to monsters/maps. (extend processing to "media\units"). Fixed: Installed mods are not listed in /offline mode (or without an internet connection). Fixed: Crossed dependencies (mod A needs B and B nees A) results in duplicated mods to install. Fixed: Integrated browser should cancel GoogleAds scriptings because of annoying errors with IE.